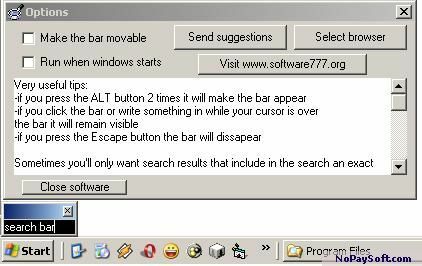 This is a new kind of search bar. It is very flexible and does not use any space that you might need. It isn't like the taskbars and the Internet Explorer toolbars. It has a lot of tips that help you to make more precise searches.